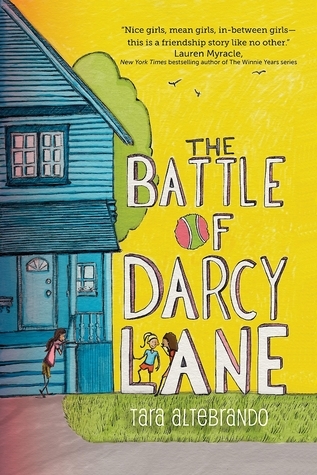 A few weeks ago I read and reviewed Tara Altebrando's middle grade debut novel The Battle of Darcy Lane. I thought it was a wonderful, realistic portrayal of middle school mean girls behavior and is a book I think deserves to be in classrooms and school libraries all over the country. My favorite quote from this interview is: "If I show up, then good things will happen," which refers to her very business-like writing process where she says she writes every day from 9 a.m. till 2 p.m. whether she feels inspired or not.